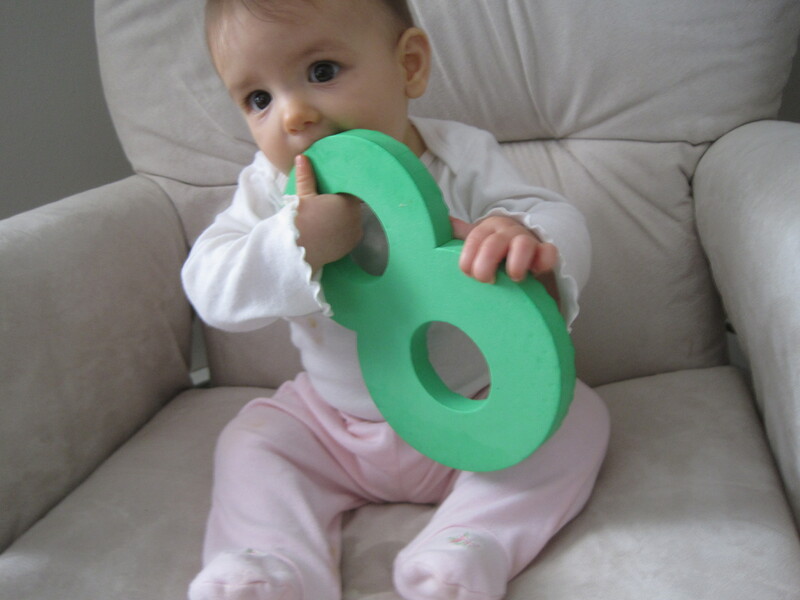 Miss S is 8 months old! She continues to roll everywhere. She can cross the room pretty quickly and get exactly where she wants to go. As of the last week she can now get from laying on her stomach back to sitting up. She’s starting to be more vocal and has a high pitched squeal. She loves watching M and my mom says she looks for her at lunchtime during the week when she’s at school and not sitting next to her at the table. She sleeps from about 8pm – 5:30am. Still no teeth, but we think there is at least one about to break through. She smiles a lot and laughs some. She loves watching the cat and the dog. She really loves swinging in her swing. She’s taking a 1/2 tsp of Miralax everyday to keep her regular. She really seems to enjoy her baby food. She’s eating some meat baby food and a lot of prunes, sweet potatoes, carrots, squash and pears. She’s just starting to get up on all fours and is also crawling backwards a little bit. I don’t think it will be long before she’s crawling. She grabs for everything in site and puts it all in her mouth. 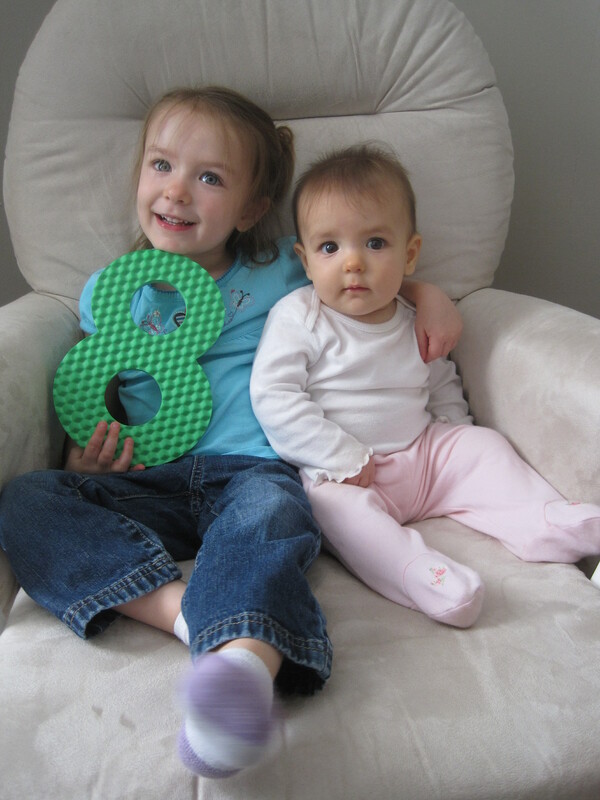 M really wanted to be in her 8 month photo, so I am including one with M and one solo (taken by M). She’s a really amazing baby. Here’s M’s post from when she was 8 months old.